After three castles the previous day I decided to continue with the castle theme and went on to the Castle Trail. 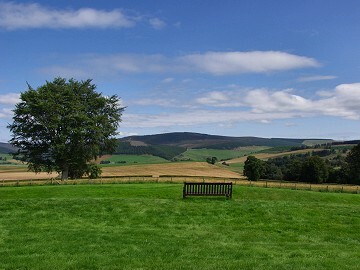 On the road from Ballater to Tomintoul is Corgarff Castle with its star shaped defences. It dates back to 1537 and has a turbulent history. 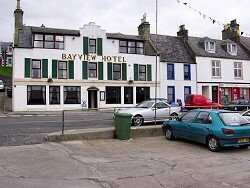 It started as a family home, was converted into barracks after the Jacobite risings of 1715 and 1745 and finally used to accommodate Redcoats to control whisky smuggling. 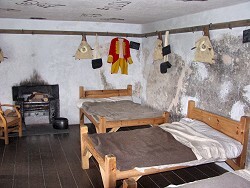 On one of the floors the sleeping quarters of the Redcoats have been reconstructed, including graffiti on the ceiling. While it was cloudy when I visited Corgarff, it went all wrong after that. For the weather forecasters, not for me. 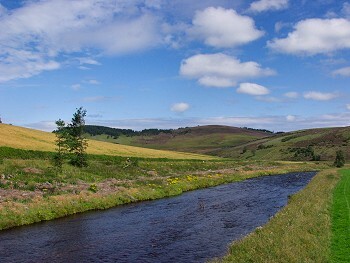 Instead of the predicted rain some beautiful sunshine developed, allowing me this nice view over the River Don. 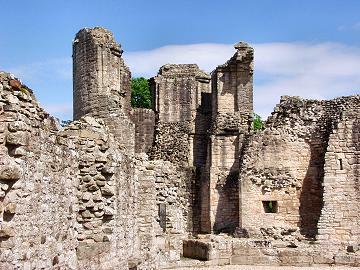 Next stop was Kildrummy Castle, or what is left of it to be precise. 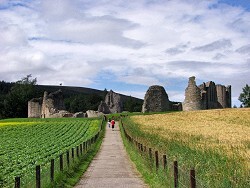 Only ruins remain of this 13th century castle. It also has an eventful history, being besieged various times during various conflicts. 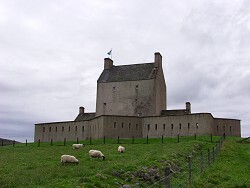 Robert the Bruce's brother held the castle against the English for a time, only to be betrayed by a blacksmith who set fire to grain stored in temporarily in the Great Hall. 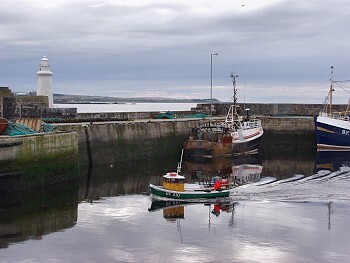 After the defeat of the Jacobite uprising in 1715 the castle was given up and fell into disrepair. 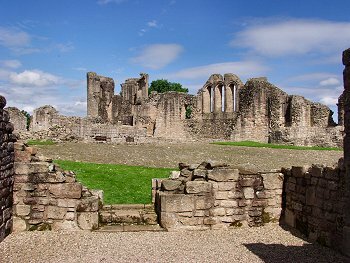 I enjoyed exploring the ruins in the sunshine and also enjoyed the very nice views around the castle. 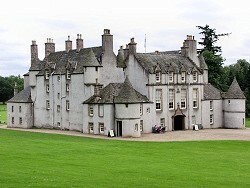 I continued to Leith Hall, not really a castle but a mansion house. Leith Hall is the family home of the Leith-Hay family since 1650, although it's now run by the National Trust. I went on the guided tour of the house, followed by a quick look at the exhibition of the military traditions of the family. 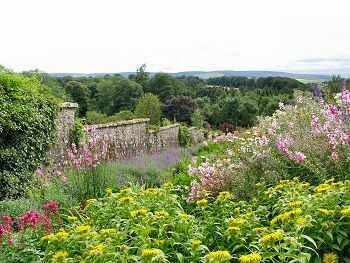 Close to the house are the very nice gardens with its colourful flowers and views over the hills. 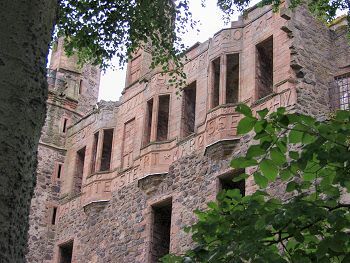 The last castle I visited for the day was Huntly Castle, formerly home to the powerful Gordon family. Again only ruins remain, in particular of the main castle. 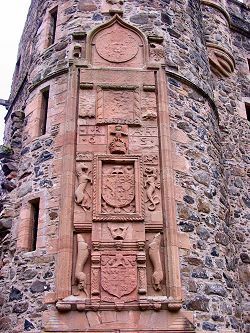 Over the doorway is an elaborate coat of arms from the 15th century, there are also several carved fireplaces. Of the other buildings the best is probably the brewhouse and the bakery. There's not much else to see apart from the ruins, so I moved on soon.